A solid technology platform is enabling DEPCOM Power to rapidly scale its supervisory control and data acquisition (SCADA) systems. Software tools are making it easy to build flexible SCADA solutions, human- machine interfaces, IIoT connectivity and add tags, clients, and projects without additional costs. 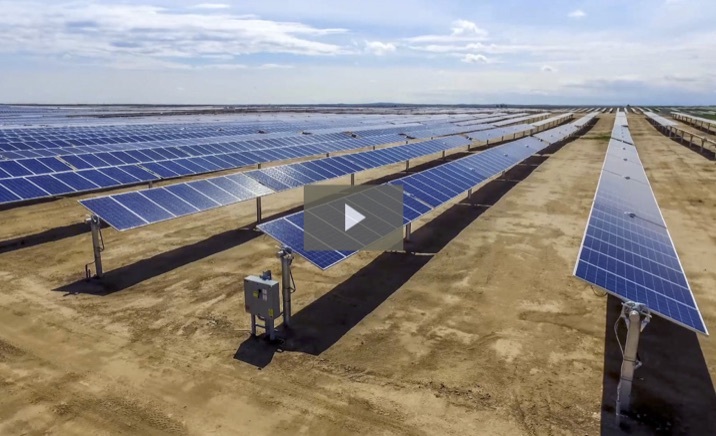 DEPCOM POWER DESIGNS, BUILDS AND operates utility-scale solar power plants. With all its recent growth, the company relies on a supervisory control and data acquisition (SCADA) system that will scale quickly and easily for years to come. Based in Scottsdale, Ariz., DEPCOM has been growing rapidly, and has plans to continue its expansion. DEPCOM selected Ignition technology, an industrial application platform with tools for building flexible solutions in SCADA, human- machine interface (HMI), and the Industrial Internet of Things (IIoT). Ignition also provides a unlimited licensing which allows DEPCOM to add tags, clients, and projects without additional costs. DEPCOM has been using the Ignition platofrm since 2015, after it was suggested by system integration company Vertech—another company with plenty of solar experience. Vertech and DEPCOM have created several projects in Ignition. DEPCOM uses Ignition for monitoring and controlling solar power plants — and also for data analysis, troubleshooting, design, and reporting. By analyzing historical data from Ignition, DEPCOM continually improves plant performance and efficiency. DEPCOM also likes Ignition for its fast development tools and flexibility in integrating with other platforms. DEPCOM Power controls and monitors seven solar-power plants. DEPCOM has numerous stakeholders and customers including its own operators, independent engineers, banks, utilities, plant owners, and independent power producers. Integration with various entities and technologies has been much easier with Ignition than with previous systems DEPCOM has used. “We’ve got all kinds of customers now that are abandoning their usual platforms in favor of Ignition,” said John Schroeder, senior vice president of plant operations for DEPCOM. Schroeder noted that the performance of the system has also been impressive. “Usually, when you get to this type of scale, you see breakdowns,” said Schroeder. Fast development has also been a benefit of using this software technology. “Something that took two or three weeks before, now it takes two hours,” said Hood. DEPCOM rolls out sites very quickly, and Ignition allows the company to create customized applications in a hurry. DEPCOM now has more data than ever before, and it’s able to make sense of that data. “One of the great benefits for DEPCOM is Ignition’s ability are happening faster at the company since Ignition was implemented. Application case history story by Inductive Automation.